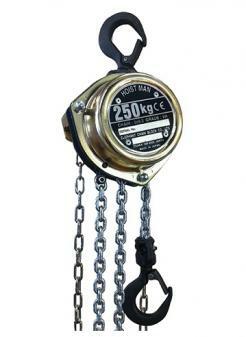 Hand Chain Hoists are one of the most cost-effective means of lifting heavy loads. They are economical, versatile, and ideal for low headroom or constricted spaces. 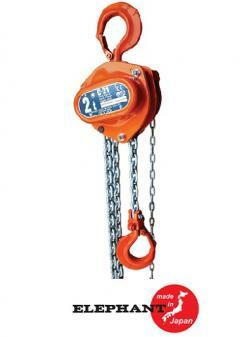 They are also more economical than electric lifting products if you only need to lift occassionally. 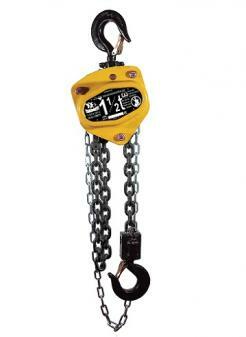 At chainhoist.com we offer hand chain hoists from 1/4 ton to 50 tons. Our expert representatives are available online at info@chainhoist.com and by phone at 1-800-589-7270 to assist you in choosing the right hoist. Call or click now! 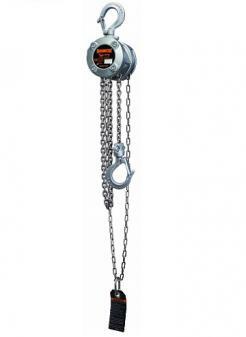 Hand chain hoists are often referred to as chain blocks or block and tackle. 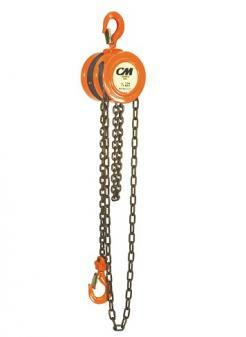 They are operated by pulling on the hand chain and the load is raised and lowered. They are consumed by industry where they demonstrate versatility in permanent and temporary lifting applications. 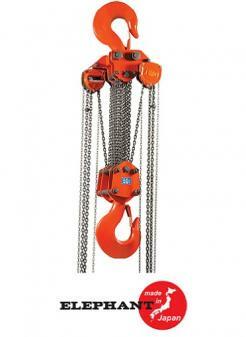 Hand chain hoists are typically utilized in vertical lifting operation. 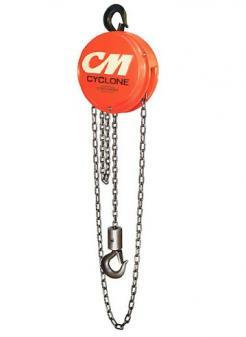 They are available in different capacities and manufacturers reference many different components that make operation easier such as abrasion-resistant load chain, high-strength pinions and maintenance-free slip clutch as an added option. A slip clutch would help an operator stay balanced if there is an overload situation. 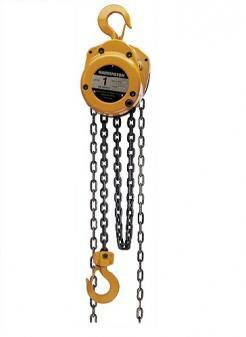 Hand chain hoists are lightweight but durable as demonstrated in construction and other demanding industries. 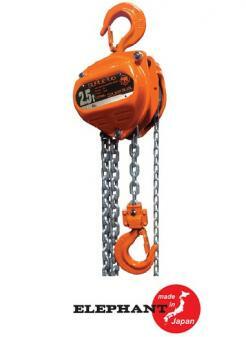 Users also employ such hoists for lifting automotive parts on jib cranes. As units are light in weight they are commonly used in temporary installations and moved from one job to another. A manufacturer’s capacity range might be half a ton to 25 tons or more. 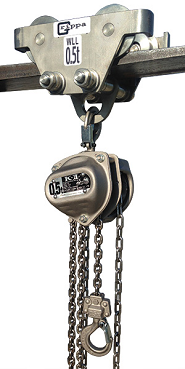 Hand chain hoists are available with overload protection.